Independent Russian magazine The New Times is appealing an “exorbitant” fine handed down by a Russian court, which critics have portrayed as part of a wider plan to undermine media freedom. A Russian court has ordered The New Times to pay more than 22 million rubles (nearly $330,000) over issues with reporting foreign funding, according to the magazine’s editor-in-chief, Yevgenia Albats. In an interview for FRONTLINE’s 2017 investigation, Putin’s Revenge, Albats described the Russian president’s strategies, beginning nearly two decades ago, to control the country’s media landscape – starting with television. “Step by step, he got control over each and every TV network in this country,” she said. “Everything else followed: newspapers, information agencies. Now we are left — there is one independent magazine, one independent newspaper, one Internet-based independent TV channel. Albats has written several books, including one on Russia’s secret police, the KGB, where Putin was an agent when the Berlin Wall fell, signaling the decline of the Soviet Union. She also discussed how her magazine’s coverage got under the government’s skin. “I think it was something like in 2010, wherein my magazine, The New Times, [did] a very hard story on the Russian police. Police got mad, Kremlin got mad, and especially so since they requested from me the names of our sources,” she said. The New Times is recognized for its critiques of the Kremlin. According to The Washington Post, the timing of the decision to fine the magazine was significant. “Could it be just a coincidence that this penalty came four days after Ms. Albats interviewed the leading Russian opposition figure, Alexei Navalny, on her weekly Echo of Moscow radio show? No doubt that was the last straw,” the editorial board wrote on November 8. The magazine was already subject to government scrutiny when the fine came, according to Human Rights Watch. 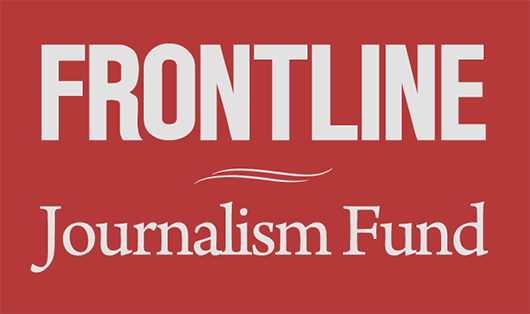 Tanya Lokshina, associate director for Human Rights Watch’s Europe and Central Asia Division, told FRONTLINE that a foundation established to take donations for the magazine was demarcated a “foreign agent” organization in 2014. The next year, Russia’s parliament adopted legislation that made it mandatory for media to report any foreign funding, she said. 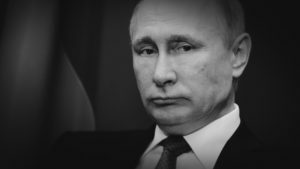 In a conversation on Nov. 12, Albats told FRONTLINE that the words “foreign agent” have a different connotation in Russia than in the U.S.
“Any Russian, their little knowledge of Russian history, when he or she hears the wording … ‘foreign agent,’ it translates as ‘enemy of the people,'” she said. The Committee to Protect Journalists urged Russian authorities in a statement to discontinue wielding the “foreign agent” law to tamp down on dissent. “The exorbitant fine imposed on The New Times is clearly aimed at crippling the outlet and amounts to a direct attack on what is left of press freedom in Russia,” said Gulnoza Said, CPJ Europe and Central Asia Program Coordinator. After the fine first came down, Albats said she was looking at bankruptcy for her company. “How can you feel – obviously neither my company nor me myself have money to pay the fine,” she told FRONTLINE. On Nov. 13, The Moscow Times reported that a crowd-funding campaign for The New Times had, according to Albats, already raised enough money to cover the fine. The editor-in-chief told FRONTLINE that an appeal has already been filed, with a hearing scheduled for later this month. —Julia Rod contributed to this story.